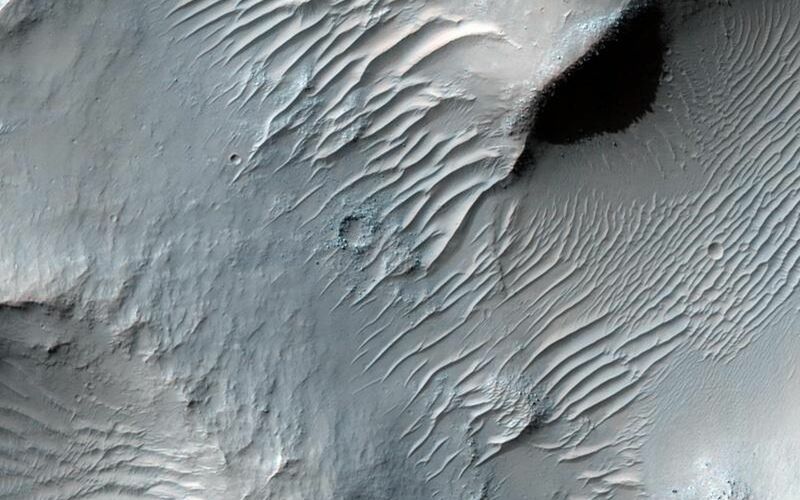 Samara Valles is one of the longest ancient valley systems on Mars. This system traverses more than 1000 kilometers (621 miles) toward the northwest across the heavily cratered southern highlands eroding into the gentle slopes of Terra Meridiani. The valley terminates in the northern lowlands within the Chryse basin where both Viking Lander 1 and Pathfinder are located. 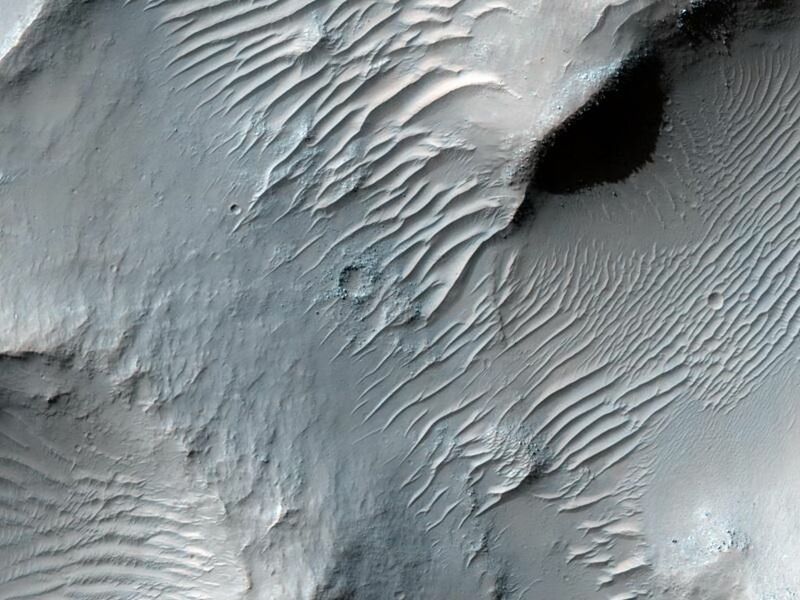 The High Resolution Imaging Science Experiment (HiRISE) camera on NASA's Mars Reconnaissance Orbiter recorded this image on March 4, 2010. The target for this HiRISE observation was a suggestion submitted through the camera team's HiWish public-suggestion program. For more information about how to submit target suggestions, see http://uahirise.org/hiwish/. The image shows a portion of the upper reach of Samara Valles. The valley is several hundred meters (or yards) wide at this location, and the surface is mantled with dust as evidenced by the system of dunes that line the valley floor. The surface is heavily cratered by ancient impacts whose ejecta blankets have long ago been eroded and subsequently buried by dust which mantles the entire region. This image covers a swath of ground about 1 kilometer (about two-thirds of a mile) wide. It is a portion of HiRISE observation ESP_016895_1525, which is centered at 27.04 degrees south latitude, 344.39 degrees east longitude. The season on Mars is southern-hemisphere autumn. Other image products from this observation are available at http://hirise.lpl.arizona.edu/ESP_016895_1525.